Shinzō Abe is pushing to open up Japan's restrictive immigration system. But his reforms would serve the interests of business, not immigrant workers. Across the industrialized world, far-right parties have come to power through demonizing immigrants and promising to tighten borders. Japan’s right-wing government is just as nationalistic and xenophobic as the rest. But it’s moving in the opposite direction: allowing more immigrant workers. Last Tuesday, the lower house passed Prime Minister Shinzō Abe’s bill to revise Japan’s strict immigration laws and permit more blue-collar workers from overseas to live in the country. The draft legislation would extend work visas to as many as 340,000 immigrant workers over the next five years. The overhaul could mark a significant shift in a country that has historically been resistant to accepting immigrants. Currently, Japan has 1.3 million foreign workers residing in its borders — just 1 percent of the total population. That Abe’s plan is tilted toward companies instead of immigrants should come as no surprise. Japan’s immigration regime has long been about benefiting corporate interests. Since the 1990s, Japanese companies have hired workers from overseas to fill low-wage jobs under the government’s Technical Intern Training Program. While the program purports to “transfer skills, technologies, and knowledge” to workers from developing countries, critics charge that the “technical trainees” are treated as second-class citizens. From wage theft to overwork, passport confiscations to sexual assault, countless allegations of employer abuses have surfaced — and the government has done little to curb them. At a parliamentary hearing in early November, a Chinese woman who worked at a garment factory in rural Japan testified that her employers bullied and harassed her and forced her to work sixteen hours a day for an hourly wage of 300 yen (2.65 in USD). Earlier this year, the Asahi Shimbun reported that construction companies sent trainees to work on radioactive decontamination at nuclear power plants in Fukushima, which had been shuttered since the 2011 disaster. A twenty-four-year old Vietnamese trainee, who was assigned cleanup work and was exposed to radiation, told the Japan Times that he was not informed he would be part of the decontamination efforts until he arrived in the country. Many workers in the program are so desperate they simply flee. According to the Ministry of Justice, more than seven thousand technical trainees left their employers last year alone. Without proper protection, however, technical trainees that break ties with their employers face the threat of detention and deportation. For others, debts from paying brokers to come to Japan keep them bounded to their employers. The Abe administration claims the revised immigration laws would fix the program’s “shortcomings.” Under the prime minister’s plan, current technical trainees would account for about half of those accepted under the new visas (though time spent under the technical trainee program would not count towards the five years of work needed to apply for permanent residency). Workers would be able to switch employers without the fear of detention or deportation. 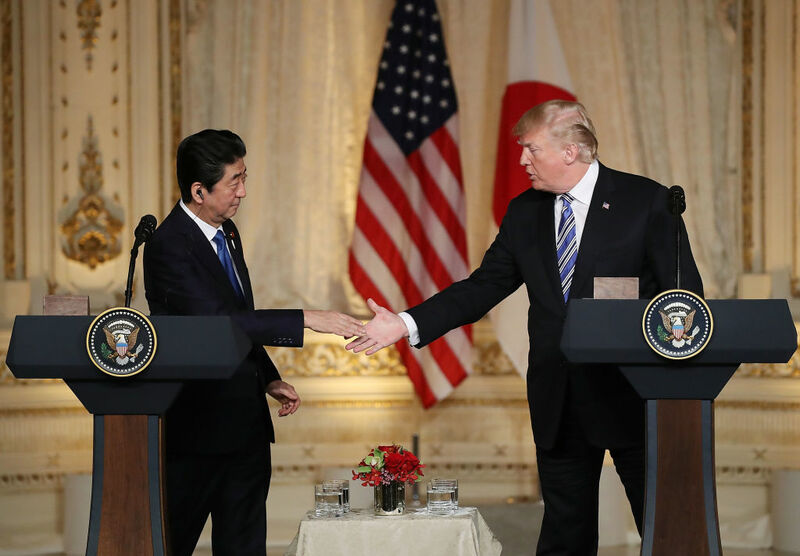 Abusive employers — just a few bad apples, to hear Abe’s administration tell it — would no longer have as much leverage over workers. But the problem isn’t a few bad apples — it’s the anti-immigrant, pro-business beliefs that have long permeated the Japanese elite. In the minds of Japanese elites, the value of immigrants begins and ends with their ability to labor. Their worth as human beings is secondary at best. This attitude has deep roots in Japan’s colonial history. Perhaps the most archetypal case is the South Manchurian Railway (SMR) — “Japan’s East India Company in China” — which not only embodies Japan’s brutal imperialist rule in Asia, but was one of the first large-scale capitalist enterprises built atop migrant labor. It seems the attitude toward immigrant laborers has changed little among Japanese elites, many of whom glorify Japan’s imperial rule to this day. Abe’s instrumentalization of immigrants can be seen mostly clearly in his treatment of those viewed as “not needed” for the economy. Last year, Japan received twenty thousand applications for asylum and accepted only twenty, despite its long-standing support for wars and US policies that have forced people to flee. In March 2017, Nguyen The Hung, a Vietnamese asylum-seeker, died of a stroke while being held in solitary confinement at an immigration detention center after guards ignored him and left him lying on the floor for hours. An Indian man detained for ten months at the same detention center committed suicide in April, sparking a hunger strike of fellow detainees. Since 2006, fourteen detainees have perished in Japan’s seventeen immigration detention facilities. Even a work visa is no guarantee of safety and stability. Labor shortages in the construction industry have placed an undue burden on workers, as companies rush to finish building projects for the 2020 Olympics. Last October, a twenty-three-year-old working on the new Olympic stadium in Tokyo committed suicide after putting in 190 hours of overtime. In January, another worker died in a crane accident at the Olympic village construction site, with many citing poor working conditions as the cause of it and other deaths. Yet despite such tragedies, the Abe administration — a driving force for privatization and deregulation in recent years — excluded construction workers from its recent labor reforms. Lisa Torio is a writer based in Tokyo, Japan.